*Confused.com acts as a credit broker not a lender. Saving of £1,167.32 based on a comparison of £9,000 hire purchase loan, £1,000 deposit on a £10,000 car and repayments over 48 months. Representative APR 5.9% vs dealers 11.9% median representative APR. Data source AM100. Correct 1st September 2018. Credit subject to status. See verification here. "It was easy and simple to complete and the response was quick"
We go to these trusted car finance providers. The term car finance covers several types of loan you can take out when purchasing a car. Most deals require an initial deposit followed by set monthly payments. By spreading the cost over time, it's a great way to avoid paying for a car all in one go. Much like other types of loan, interest rates tend to apply, as well as extra fees. This makes shopping around for the right deal vitally important. Looking for a car finance deal? 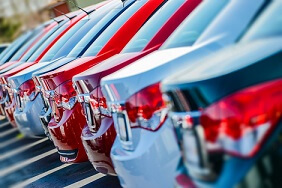 If you're unsure whether personal contract purchase, hire purchase or an unsecured loan is the best car finance option for you, take a look at our explanations below. We're here to help. This handy table should aid your decision. Personal contract purchase or PCP is similar to a hire purchase. You’re likely to be asked to pay an initial deposit, and then monthly payments for a set period. The higher your deposit, generally, the lower the monthly payments. Even with the deposit though, monthly payments are typically lower than you’d find with a hire purchase deal or a personal loan. This is because you'll be paying off the value of the depreciation of the car, not the full value of the car. At the end of the agreement, if you decide you want to keep the car, you’ll need to pay what’s known as a ‘balloon payment’. This covers the cost of the vehicle and transfers ownership from the finance company to you. If you don’t want to keep the vehicle, you can give it back, or start a new PCP deal and get a new car. Hire purchase or HP is an arrangement where you hire the car from a finance company until you’ve fully paid for it. The finance company own the vehicle until the final payment is made, after which time it’s yours to keep. Hire purchase tends to require a deposit usually 10% of the car’s value. The higher the deposit, the lower the monthly payments. A personal loan sometimes called an unsecured loan, allows you to borrow a lump sum over a fixed term. This loan isn’t secured against anything. That means if you use a personal loan to pay for your car, you’ll own it outright from the day the money is transferred to the dealer. As such, you can sell the vehicle at any time, without needing to settle up with the finance company first. Why compare car finance quotes with Confused.com? Unlike many sites, once you’ve entered your details we’ll be able to show you the exact APR that you’ll be offered for your loan or hire purchase deal - what you see is what you get. As well as showing you options for exact APR, we’ll show you providers who quote based on representative APR and display the likelihood of acceptance too. 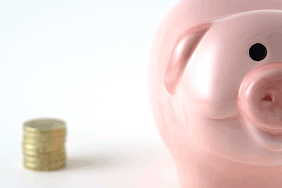 Our guide on representative APR vs exact APR explains the difference. Knowing the exact APR means it’ll be easier to manage your budget and make sure you get the best deal. If you'd like to learn more about the options available to you, our car finance articles section may have what you need. Fantastic and easy to use, thank you for the assistance! How can I save on car finance? Before taking out a car loan, you need to take into account how much you’re spending, how much you can afford to pay back each month and how good your credit history is. The great way to compare deals is to look at the total cost of credit as this will take into account the monthly payments, and how long you’ll end up paying back the loan for. One thing to be careful of when comparing finance deals is that, while extending the period of a loan may bring down the cost of monthly payments, it could also mean you’ll pay more interest overall. 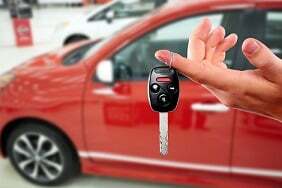 Can I get car finance if I have a poor credit history? Your credit history is taken into account when you apply for car finance. But even if you have poor credit, or you are completely new to it, it doesn’t mean you’ll be rejected, or that your only option is to take out finance through a car dealer. Instead, it will probably mean that your monthly payments and / or the amount you repay overall are higher than some of the rates you’ve seen advertised. And you may only get quotes from a limited number of “specialist” providers. Take a look at our guide on how to improve your credit rating. Everyone has a different financial situation, so there's no 'one size fits all' with financing your next car. Do you have any savings for a deposit? How much can you afford to pay back each month? Are you likely to change your car again within the next three years? Have you chosen the car yet? Is it a private sale, or through a dealer? Once you’ve answered these questions, you’ll be in a much better position to choose the best way to finance your next car. Need more help? Take a look at our FAQs or our car finance jargon buster. Using Confused.com will not affect your credit rating as only soft searches will be carried out. Confused.com is a credit broker, not a lender. Our website makes it easy for you to compare a wide variety of car finance products, all from a range of trusted providers. If you decide to buy through us, we get a small fee from one of these providers. Comparing with us costs you nothing! And please note, the size of the provider’s fee doesn’t affect how we display our products. Does applying for car finance affect my credit score? When you get a car finance quote from us, you'll see a number of products offered by our providers/lenders. To get to this stage, we run what's called a soft credit search. This type of credit search doesn't affect your credit score and is also not shared with potential lenders, just the broker (us). The only time your credit score and history is shared with a lender will be when you choose to purchase a car finance product and the lender you've chosen to purchase from will then conduct a full/hard credit check. Annual percentage rate (APR) is the total charge for borrowing, including any fees and charges for that lending. We will show you either an exact APR or a representative APR. Exact APR means the rate you see will be the rate you get. Representative APR is an advertised rate that at least 51% of people who are accepted for the product will pay. Can you buy second-hand cars on finance? Yes. When you search for car finance with Confused.com just pop in the registration number of the car you’re looking at, then you can compare quotes from our list of top UK dealers. If you have a poor credit history, you can still apply – the company will look at your personal circumstances, such as your employment status, age, income and loan size, alongside your credit history . You’ll then get your exact interest rates and payments. What’s the difference between representative and exact APR? Representative APR is the figure companies use to advertise their rates. Only 51% of people are actually required to receive the advertised rate. Exact APR is the rate you'll be offered by the lender after your information has been checked. Use our car finance calculator & find out how much you could be paying each month. Not sure what type of card you're looking for? Compare credit cards easily with Confused.com.